It only takes one person to save a life. Naloxone is a medication that is often used to block the effects of opiods, especially in overdose. Our free families event offers a lunch followed by hands-on learning on what you need to know about overdose signs and symptoms, and what steps you can take to save a life. 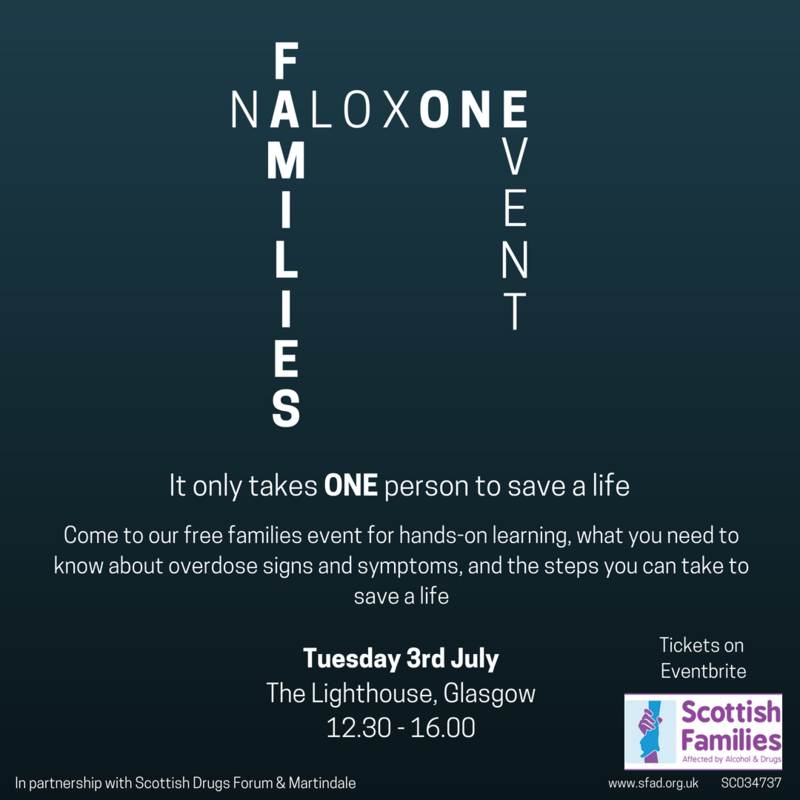 This is followed by naloxone training provided by Scottish Drugs Forum and Martindale – family members will receive a supply of naloxone to take away. This event is for family members and anyone interested in learning about overdose signs and symptoms – if you are an organisation who provides support or services for families, or you run your own support group, we have stall spaces available – let us know if you would like one by contacting info@sfad.org.uk or 0141 465 7523.